New Delhi: Hyundai Motor India Foundation (HMIF), the philanthropic arm of Hyundai Motor India Ltd, the country’s second largest car manufacturer and number one exporter since inception today announced the commencement of the 3rd Phase of ‘Safe Move – Traffic Safety Campaign’. The Traffic Safety campaign is being conducted in association with Ministry of Road Transport and Highways (MORTH) in 150 Schools and 14 prominent malls across India. ‘Safe Move’ is one of the key pillars of Hyundai Motor Group’s long-term road-safety CSR initiative across the globe. ‘Safe Move – Traffic safety Campaign in India focuses on spreading awareness about the importance of traffic safety to bring about a significant behavioural change among masses. 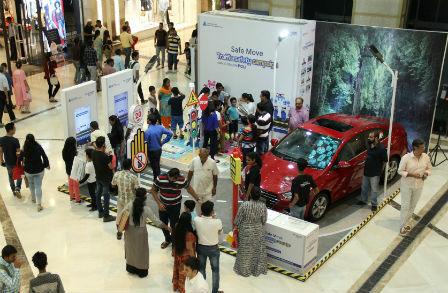 In the current phase, ‘Safe Move – Traffic Safety campaign’ will engage children and their families innovatively through contact programs in Schools and Malls. The objective of the third Phase is to build upon the success of Phase I &II and attempts to spread awareness amongst children between age group 5-7 years and 7-16 years. 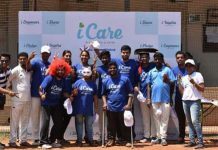 The program will be implemented in association with the Ministry of Road Transport and Highways (MORTH) and Mr Shah Rukh Khan will continue to support the campaign and Hyundai’s CSR initiatives as Hyundai’s Corporate Brand ambassador. In its 3rd Phase the ‘Safe Move – Traffic Safety campaign’ will continue till the end of 2017. In this phase Hyundai will release strategic safety films #BeTheBetterGuy on various platforms for extensive reach & engagement focusing on bringing behavioral change. As part of the School Contact Program, the campaign will reach out to 150 Schools in 16 Cities including Delhi, Chennai, Mumbai, Kolkata, Ranchi, Bangalore, Chandigarh, Ahmedabad, Hyderabad, Guwahati, Kochi, Jaipur, Pune, Lucknow, Ludhiana and Bhopal. Additionally, in the current phase Safe Move will be activated in 14 leading Malls across 6 cities (Delhi NCR, Chennai, Kolkata, Pune, Hyderabad, and Bengaluru) through a high-impact set-up and enthralling interactive games to engage children and families. ‘Kids Hyundai’ (www.kids.hyundai.co.in), a specially designed website for children on Traffic Safety is developed. The Kids website will serve as an exclusive outpost for the ‘Safe Move’ program and carry news, car production, car history & evolution related content and registration for the various programs under the initiative. The first two phases of the program successfully reached out to over 90,000 Students and 23,000 Residents across 142 schools and 146 RWA’s respectively.